AHCA’s 2015 ID/DD Hill Fly-In Event Right Around the Corner! 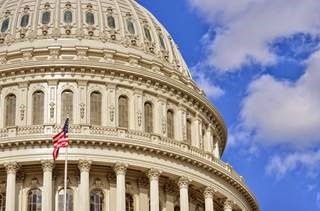 AHCA’s Intellectual and Developmental Disabilities (ID/DD) Residential Services Providers annual Hill Fly-In event will occur on Tuesday, March 24, 2015, at the AHCA offices in DC. This important event is free to attend, and the registration form can be found here. Breakfast and a boxed lunch will be provided to registrants. Congressional speakers are being invited, a legislative update will be provided, and Hill visits will follow in the afternoon. Further details about Hill visits are included in the registration form, and AHCA will provide one-pagers and talking points for registrants to take to the Hill. If you would like to attend, please fill out the registration form and email it back to AHCA’s Senior Director of Not for Profit & Constituent Services, Dana Halvorson. You can also fax or mail it as well. If you have any questions whatsoever, please don’t hesitate to let Dana know. AHCA hopes to see you at this event! For those of you interested in the Twitter feed on this event, use #MedicaidDD to stay connected with the messaging and updates. This year's IO Leadership Conference is jam-packed with exciting events and opportunities. The early bird deadline is fast approaching so register today! Don't miss this opportunity! Register by February 9, and take advantage of the early bird savings. This year's theme is How To Survive Medicaid Managed Care as an Independent Owner. Numerous education sessions will inspire you and show you how to take on your greatest challenges in new and successful ways. Now run entirely in the popular Town Hall format, you'll hear more from each other, share ideas, and engage in lively, facilitated discussions. Do you have a quality-related question for AHCA and NCAL? We want to hear from you! 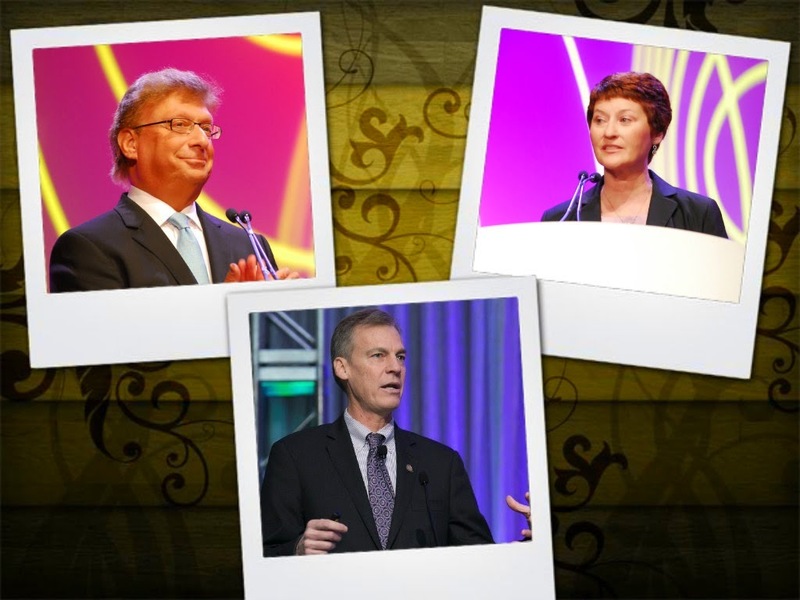 Mark Parkinson, AHCA/NCAL President and CEO; Leonard Russ, AHCA Board Chair; and Patricia Giorgio, NCAL Board Chair, will answer your questions at the Quality Symposium’s opening general session on Tuesday, February 24. Be sure your voice is heard! Send your questions to Andrea Todd at atodd@ahca.org by Wednesday, February 11. The AHCA/NCAL 7th Annual Quality Symposium, held in Austin, Texas, February 23-25, continues a tradition of supporting and challenging members who are focused on quality improvement. NALW: Offer Your Theme Idea Today! Each year, National Assisted Living Week® (NALW) is celebrated in assisted living communities across the country – and this year, we are looking to you for ideas! TODAY is the deadline to visit the NALW Facebook page and submit your ideas for the 2015 theme. Offer your theme ideas, activity thoughts, or even color suggestions, and NCAL will consider each one. The final theme will be announced in February, plenty of time to prepare for NALW, which will be held September 13-19, 2015. NALW themes encompass all that makes assisted living a premier lifestyle. The care, compassion, laughter, joy and friendship that occurs in these communities every day... where residents, volunteers and team members share the laughter and joy experienced in communities every day. If you or your team have great ideas that you think would make a terrific theme, share them with us! There is still time to join the crowd! Due to continued demand, AHCA/NCAL is excited to announce its registration deadline for the 2015 Quality Symposium: It’s Time to Roar! has been extended to Thursday, February 12, 2015. Be part of the fastest-growing, quality-focused, event for long term and post-acute care professionals, and get your registration in today. With the opportunity to earn up to 15.5 CEUs, this is the perfect event to help boost your professional development, while focusing on organizational performance excellence, and quality resident care. Please note these hotel properties do not have a discounted AHCA/NCAL group rate available. Reservations made at these hotels will be based on availability at the prevailing rate determined by the hotel. For comprehensive information about the symposium, visit our website. Thank you for your interest in the AHCA/NCAL 7th Annual Quality Symposium. We hope to see you soon in Austin! The Centers for Medicare and Medicaid Services (CMS) recently released a Medicare Learning Network (MLN) article for providers to announce an emergency update to payment files issued to contractors based on the CY 2015 MPFS Final Rule. Change Request CR9081 amends those payment files, including an updated conversion factor of $35.7547 for services furnished between January 1, 2015, and March 31, 2015, consistent with the Protecting Access to Medicare Act of 2014 that provides for a zero percent update from CY 2014 rates. Make sure that your billing staffs are aware of these changes. AHCA had previously alerted members of this issue (here) and (here). Thanks to the efforts of Tony Marshall, the Senior Director of Reimbursement for the Florida Health Care Association, AHCA is able to post the updated 2015 Medicare Part B Fee Schedule that applies to Part B therapy services for the period from January 1 through March 31, 2015 here. If you downloaded this AHCA resource file prior to January 7, 2015, please download the updated file which reflects the CMS correction. The US Supreme Court is set to hear the high-profile Affordable Care Act (ACA) litigation (King v Burwell) in March 2015, and the stakes are high. If the US Supreme court rules against the Obama Administration, nearly 5 million citizens currently enrolled through the federal marketplace could lose access to subsidized coverage. Leavitt Partners Consulting has just released a white paper discussing possible fall-out from the US Supreme Court decision here. The New Mexico Attorney General has filed a complaint against a NF corporation alleging violations of fraud, unfair practices, breach of contract, and unjust enrichment. This action seems to be motivated by a national strategy being implemented by plaintiffs’ attorneys Cohen Milstein and David Marks who reach out and contract with state Attorney Generals to move these complaints forward. Specifically, these complaints construct a minimum PPD (staffing measure in “hours per patient day”) for each defendant using a computer-simulated staffing model that calculates PPDs based on Section G of the MDS. The complaint refers to this model as a “widely-accepted industrial engineering simulation” to determine the level of staffing and cites to documents stating that this is “scientifically-established labor times.” However, the model has not been approved by the Centers for Medicare & Medicaid Services. To understand the theory better go here. The US Department of Health and Human Services (HHS), Office of Inspector General (OIG) has posted a podcast that looks back at OIG highlights of its fraud, waste and abuse activities, including activities within the Medicare and Medicaid programs. Specifically, in Fiscal Year 2014 the OIG reported: 1) nearly $5 billion dollars in expected recoveries; and 2) 971 criminal actions against individuals or entities that engaged in wrongdoing against HHS programs, as well as 533 civil actions. OIG also excluded from participation in federal healthcare programs more than 4,000 individuals and entities. To view the transcript of the podcast go to https://oig.hhs.gov/newsroom/podcasts/2015/review14-trans.asp. The Medicare beneficiaries (plaintiffs) involved in a class action lawsuit challenging a common hospital practice of admitting patients “for observation” rather than “inpatient” have another opportunity to be heard in District Court. The US Court of Appeals for the Second Circuit has held that plaintiffs have a sufficient property interest in their Medicare Part A benefits to warrant some form of due process, such as a written explanation of an observation or inpatient classification or the right to appeal that certification (Barrows v Burwell). 2) policy of failing to provide Medicare beneficiaries the right to an administrative review, including expedited review, of their placement on observation status violates the Medicare statute and the Due Process Clause of the Fifth Amendment. In February 2014, AHCA filed an amicus brief supporting the plaintiffs by stating that they “have a valid cause of action for injunctive relief to avoid the due process violations inherent in the HHS Secretary’s current approach,” and should be heard in court. The Second Circuit held oral arguments in late fall, and on January 22, 2015, reversed the District Court’s decision on the due process claims. The litigation now goes back to the District Court where the legal question is whether, as a factual matter, the classification is actually within the doctors’ discretion (as the HHS Secretary asserts), or, is being directed by Medicare (as the plaintiffs assert). AHCA will continue to monitor and provide updates on this important litigation. For more information about observations stays, please visit the AHCA/NCAL website. Bronze Award Deadline This Thursday! This Thursday, January 29, is the final deadline for all Bronze -level National Quality Award applications. The deadline to submit Silver and Gold applications is Thursday, February 12. All submissions must be entered using the online application by 8:00 pm EST. If your center needs some inspiration and motivation, look no further! Dennis Ferger, administrator of Clement Manor, a 2008 Gold Award Recipient, shares his thoughts on why the time put into the quality award journey is worth it. For more information and resources for Bronze, Silver and Gold applicants, visit qa.ahcancal.org. Think of all the fun your community can have with this year’s National Nursing Home Week (NNHW) theme of “Bring on the Fiesta!” May 10 to 16, 2015. Make it a week of entertainment and education for all to experience the week’s focus on “Familia, Vida and Amor” (family, life, love). Look for the Planning Guide and Product brochure in mid-February and check out the NNHW web site here. As noted on the CMS.gov website, the Centers for Medicare & Medicaid Services (CMS) has revised the Intermediate Care Facilities for Individuals with Intellectual Disabilities (ICF/IID) State Operations Manual (SOM) Appendix J – Interpretive Guidelines (IGs) to clarify the intent of the Conditions of Participation (CoPs) for ICF/IID as well as represent current standards of practice in the field. In addition, the probes and procedures have been removed from the IGs and placed into an Exhibit in the SOM. The CMS memo with this information can be found here. To view the full MedPAC agenda and all materials, please click here. The AHCA/NCAL MedPAC summary of the meeting is here with member only access. For more information on the MedPAC discussions, please contact Elise Smith at esmith@ahca.org, Narda Ipakchi at nipakchi@ahca.org, or Mike Cheek at mcheek@ahca.org. On Thursday, January 15, 2015, AHCA held a webinar for its members that provided information from officials from the U.S. Department of Veterans Affairs (VA) and the U.S. Department of Labor (DOL) relating to the $10.10 wage issue and VA contracts. The link for the recorded webinar is now posted, and can be found here for AHCA members. If you have any questions relating to this webinar, please contact AHCA’s Senior Director of Not for Profit & Constituent Services, Dana Halvorson. In partnership with Hallmark, Advancing Excellence Long-Term Care Collaborative is pleased to introduce you to the new You Make A Difference staff recognition program! Inspire excellence in nursing home care through long-term employee commitment and professional loyalty. Use the You Make A Difference program to acknowledge achievements and milestones easily and systematically – anywhere, anytime. · Order Hallmark greeting cards and certificates created for recognition moments. · Add a personal message. · Include an optional monetary incentive for the employee’s choice of gift cards from major retailers, restaurants, entertainment. and travel providers. On Tuesday, January 20, 2015, the US Supreme Court heard oral arguments in Armstrong v Exceptional Child Center, a Medicaid rate case that questions the remedies that providers have to ensure that they are being paid adequately for services they furnish to beneficiaries. The key question in Armstrong is whether Medicaid providers have a private right of action under the Supremacy Clause to sue the state in federal court over low Medicaid rates and to enforce, on their own, the so-called “equal access” provision (42 U.S.C. §1396a(a)(30)(A). The Obama Administration and the states have argued in the past that Congress has refrained from granting providers the right to sue their State Medicaid agencies. Healthcare providers argue that the real issue is about ensuring access for beneficiaries and that states only keep Medicaid payments low for budgetary reasons. During the recent oral arguments, it was clear that the justices are split – some of the justices were skeptical, based on questions they posed, that healthcare providers should be allowed to sue state Medicaid agencies over low reimbursement rates. Other justices, however, asked where providers could challenge low Medicaid rates if not in the court system. The US Supreme Court confronted this same issue almost two years ago in the California case of Douglas v Independent Living, when it heard a challenge from California providers that were seeking to block Medicaid payment cuts; but ultimately avoided deciding the question when it remanded, in a five-four decision, the case to the Ninth Circuit on procedural grounds to consider the matter in light of CMS’s consideration of those Medicaid rates in its review of the CA state plan amendment. On December 24, 2014, AHCA/NCAL submitted an amicus brief in Armstrong, along with other interested stakeholders, urging the Court to remand the case to the Ninth Circuit to consider the private right of action question in light of 42 USC Section 1320a. This is a little known and somewhat obscure provision in Title XIX that has not yet been addressed in either the Ninth Circuit or the US Supreme Court that provides that substantive provisions of Title XIX may be privately enforced if such rights existed as of the date of the provision’s enactment by Congress. To see the amicus brief go to http://www.americanbar.org/publications/preview_home/14-15.html. The Association will continue to track this important litigation and update the membership as relevant. The US Department of Health and Human Services, Centers for Medicare & Medicaid (CMS) has released a final rule, Medicare Program; Requirements for the Medicare Incentive Reward Program and Provider Enrollment, which is effective February 3, 2015. This final rule implements various provider enrollment requirements including: a) expanding the instances where a felony conviction can serve as a basis for denial or revocation of a provider or supplier’s enrollment; b) denying enrollment if the enrolling provider, supplier or owner has an ownership relationship with a previously enrolled provider or supplier that had a Medicare debt; and 3) enabling the federal government to revoke Medicare billing privileges if the provider or supplier has a pattern or practice of submitting claims that fail to meet the Medicare requirements; and d) limiting the ability of ambulance suppliers to “back bill” for services performed prior to enrollment. CMS will deny enrollment when a provider, supplier or owner was previously the owner of a provider or supplier that had a Medicare debt that existed when the its enrollment was voluntarily terminated, involuntarily terminated or revoked; and: 1) the owner left the provider or supplier that had the Medicare debt within 1 year of that provider or supplier’s voluntary termination, involuntary termination or revocation; 2) the Medicare debt has not been fully repaid; and 3) CMS determines that the uncollected debt poses an undue risk of fraud, waste or abuse. In this situation, a denial can be averted if the enrolling provider, supplier or owner satisfies the criteria in 42 CFR Section 401.607 and either agrees to a CMS-approved extended repayment schedule for the entire outstanding Medicare debt or repays the debt in full. CMS will deny enrollment or revocation of Medicare billing privileges if, within the preceding 10 years, the provider, supplier, owner or any managing employee, was convicted of a federal or state felony offense that CMS determines is detrimental to the best interest of the Medicare program and its beneficiaries. CMS will allow revocation of Medicare billing privileges if the provider or supplier has a pattern or practice of submitting claims that fail to meet the Medicare requirements. CMS is requiring all revoked providers and suppliers to submit all of their remaining claims within 60 days after the effective date of their revocation; with the exceptions as noted in section II.B.5 of this final rule. CMS is limiting the ability of ambulance companies to back bill for services furnished prior to enrollment. CMS is limiting the ability of revoked providers and suppliers to submit a correction action plan (CAP) to situations where the revocation was based on Section 424.535(a)(1). To obtain a copy of the final rule go to http://www.gpo.gov/fdsys/pkg/FR-2014-12-05/pdf/2014-28505.pdf. A recent US General Accounting Office (GAO) report, Medicare Program Integrity: CMS Pursues Many Practices to address Prescription Drug Fraud, Waste and Abuse, lists current and planned CMS prevention, detection and monitoring policies intended to promote program integrity in the Medicare Part D prescription drug program. The report does not include new recommendations. To obtain a copy of the GAO report go to http://www.gao.gov/assets/670/666647.pdf. The Department of Labor’s Home Care Final Rule, which was released on Sept. 17, 2013, extends the Fair Labor Standards Act’s minimum wage and overtime protections to most of the nation’s workers who provide home care assistance to elderly people and people with illnesses, injuries or disabilities. According to the DOL’s website, the Department issued the Home Care Final Rule to extend minimum wage and overtime protections to almost 2 million home care workers effective Jan. 1, 2015. However, on December 22, 2014, U.S. District Court Judge Richard Leon issued an opinion and order in Home Care Association of America v. Weil, Civil Action No. 14-967 (D.D.C. ), vacating the third party regulation amended by the Home Care Final Rule. On January 14, 2015, Judge Leon issued an opinion and order vacating the Final Rule’s revised definition of companionship services. Noted on DOL’s website, the Department strongly disagrees with both orders, and they are considering all of their legal options. The American Health Care Association and the National Center for Assisted Living (AHCA/NCAL) commended Congressman Jim Renacci (R-OH) for reintroducing the Creating Access to Rehabilitation for Every Senior (CARES) Act of 2015 (H.R. 290) last week. The CARES Act of 2015, which was first introduced in 2013, eliminates the three-day inpatient stay required for Medicare coverage of Part A skilled nursing care benefits by allowing centers that meet particular criteria to automatically qualify to waive the prior hospitalization requirement. The criteria are based on the Centers for Medicare and Medicaid Services Nursing Home Compare program. Interventions to Reduce Acute Care Transfers (INTERACT) is a quality improvement program that focuses on the management of acute change in resident condition. INTERACT is a valuable resource for nursing homes and assisted living communities to utilize in efforts to reduce rehospitalizations. INTERACT Version 4.0 Tools for Nursing Homes are now available. You can access them by clicking on “INTERACT Tools” on the home page, or click here. INTERACT Version 3.0 Tools will remain on the website for a period of time because many centers are currently using them. The SBAR Communication Form and Progress Note has been substantially revised to make it a more comprehensive and user-friendly nursing evaluation that helps guide and document critical thinking in an efficient way. Changes have been made to several areas of terminology in response to user concerns and suggestions. The criteria for notifying the clinician have been made more consistent between the Decision Support Tools (Change in Condition File Cards and Care Paths), and these criteria are now included in the revised SBAR. The Stop and Watch early warning tool has been revised to facilitate its use in routine monitoring of high risk residents by adding a checkbox for “no change”. The Advance Care Planning Tracking Tool has been revised to include brief documentation of discussions, which are often not clearly communicated over time or during care transitions. The Quality Improvement Tool for review of acute care transfers has been updated based on review of over 5,000 Tools to be more inclusive of changes in condition that contribute to transfer, as well as those conditions that CMS considers “potentially preventable” hospitalizations. The Implementation Guide has been updated to include all the changes. The leader of the Center for Medicaid and Medicare Services (CMS) is resigning after five years at the head of the agency. Marilyn Tavenner announced her departure Friday, saying that she will be concluding her tenure as administrator at the end of February. Tavenner oversaw the rollout for the Affordable Care Act as well the largest ever expansion of Medicaid. Deputy Administrator Andy Slavitt will take the reigns of the agency after Tavenner’s departure. AHCA/NCAL President and CEO Mark Parkinson said in a statement, "It was a true honor working with Marilyn. She will be remembered for many accomplishments at the agency, and our members are proud to have joined her in achieving key milestones on behalf of America's seniors. She will be missed." Department of Health and Human services head Sylvia Burwell praised her second-in-command as “a big part of the reason” why 10 million people enrolled in health insurance through federal and state exchanges. Andy Slavitt, a former UnitedHealth Group official, is poised to take control of CMS just as the Supreme Court is taking up an important case that could unravel key components of the ACA. He will also have to respond to a new, Republican-controlled Senate. Only Days Remain for Bronze Award Submissions! 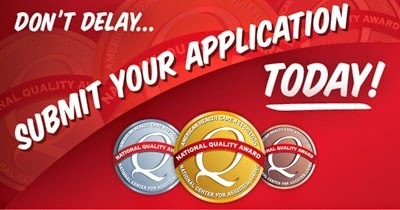 Thursday, January 29, is the final deadline for all Bronze -level National Quality Award applications! All submissions must be entered using the online application by 8:00 pm EST. For more information and resources for Bronze applicants, visit qa.ahcancal.org. Last week, AHCA and PointRight Inc., announced that the National Quality Forum (NQF) endorsed the PointRight® Pro 30™ rehospitalization measure. Sponsored by AHCA and PointRight, the measurement tool tracks and reduces rehospitalization rates in long term and post-acute care centers. "This endorsement aligns with AHCA’s mission to improve lives by delivering solutions for quality care," said AHCA President and CEO Mark Parkinson. "Our partnership with PointRight provides AHCA’s more than 9,600 skilled nursing center members with access to this valuable resource through our LTC Trend Tracker. It’s tools such as this that allows us to improve quality care and reduce hospital readmissions." In order to secure this NQF endorsement, extensive testing and evaluation of its reliability and validity was required. As part of this process, sponsors were asked to provide detailed descriptions of how the measure is calculated and risk adjusted. The measure is now in use by more than 9,000 skilled nursing facilities (SNFs) in the United States and is also being used by several Accountable Care Organizations (ACOs) and Managed Care Organizations (MCOs). "This measure is the only NQF endorsed risk adjusted rehospitalization tool for skilled nursing centers that measures rehospitalization rates for all admissions regardless of payor status," said David Gifford, MD, MPH, Senior Vice President of Quality and Regulatory Affairs. "With NQF’s experts confirming this measure as reliable and valid, we expect more and more ACOs and MCOs using this measure as a source of information for the profession." Prior to AHCA’s adoption of this PointRight metric in their web-based benchmarking tool, LTC Trend Tracker, the two organizations jointly announced AHA's use of this measure in its Quality Initiative. American Health Care Association launched its multimedia effort targeting Congress and government staff ahead of upcoming sustainable growth rate (SGR) deadline. AHCA is showing willingness to accept reductions for poor performance amongst some skilled nursing centers as an alternative to broad cuts to pay for the annual “doc-fix.” AHCA is actively bringing alternative proposals to Congress which seek to lower costs by rewarding high quality care. Last year’s SGR patch included a $2 billion dollar provision which adopted some proposals offered by AHCA, such as providing an incentive to reduce hospital readmissions after a stay in a skilled nursing center, but still cut overall rates to the sector. AHCA will run TV spots inside the beltway, and ads on websites such as Roll Call, The Huffington Post, Washington Post, and Pandora. There will be ads placed in the Capitol South Metro station—a station frequented by Members of Congress and their staff as they arrive to work on the Hill—and host multiple congressional fly-ins for constituents. The SGR, which will need to be updated March 31st to avoid a 21% rate cut to doctors’ Medicare reimbursement, is the largest annual funding fight in healthcare and routinely costs in the tens of billions. No decisions have yet been made on how long the patch will last or how it will be paid for. AHCA/NCAL has submitted a “friend of the court” brief in a US Supreme Court case, Armstrong v Exceptional Child. The key issue in this case is whether the Supremacy Clause furnishes Medicaid providers with a private right of action to enforce 42 USC Section 1396a(a)(30)(A), a provision in the Medicaid Act that payment rates must meet certain standards. · Allows parties to consolidate all election-related appeals to the NLFB into a single appeals process. The rule is effective on April 14, 2015. To obtain a copy of the 700-page NLRB rule go to https://www.federalregister.gov/articles/2014/12/15/2014-28777/representation-case-procedures. To see NLRB’s factsheet on the rule go to http://www.nlrb.gov/news-outreach/fact-sheets/nlrb-representation-case-procedures-fact-sheet. The White House continues to prepare for its Conference on Aging, set to be held in Washington next year, announcing a series of regional forums to be held around the country. The forums are designed to engage “older Americans, their families, caregivers, advocates, community leaders, and experts on aging” around the nation to create a basis for topics to be discussed at the Conference in D.C. The regional forums will be in Tampa, FL on February 19th; Phoenix, AZ on March 31st; Seattle, WA on April 9th; Cleveland, OH on April 27th; and Boston, MA on May 28th. The conference, which occurs every 10 years, is hosted as an opportunity for those in aging and care-giving communities to provide advice and policy recommendations to the executive departments and beyond on how to secure a better future for aging Americans. White House staff has met with advocates nationwide to develop a framework for the series of events. Topics covered will focus broadly on preserving finances as Americans age, maintaining healthy aging, providing the appropriate support to the disabled and elderly, as well as protecting aging Americans from negligence and exploitation. Specific dates for the conference have not yet been set, but we will continue to update members with news as we work with the administration. You can learn more about the White House Conference on Aging at their website. Speakers: Brenda Richardson, Dietary Consultants, Inc. The IO Leadership Conference is a fantastic opportunity to network, learn new strategies that will help you meet your 2015 goals, and earn CEUs. Register today, and take advantage of the early bird special. You’ll enjoy special savings when you register early, or if you are attending for the first time. The registration deadline is February 9, 2015. This year's theme is How To Survive Medicaid Managed Care as an Independent Owner. Take part in a range of education sessions and get inspired to tackle your greatest challenges in new and successful ways. Now run entirely in the popular Town Hall format, you'll hear more from each other, share ideas, and engage in lively, facilitated discussions. 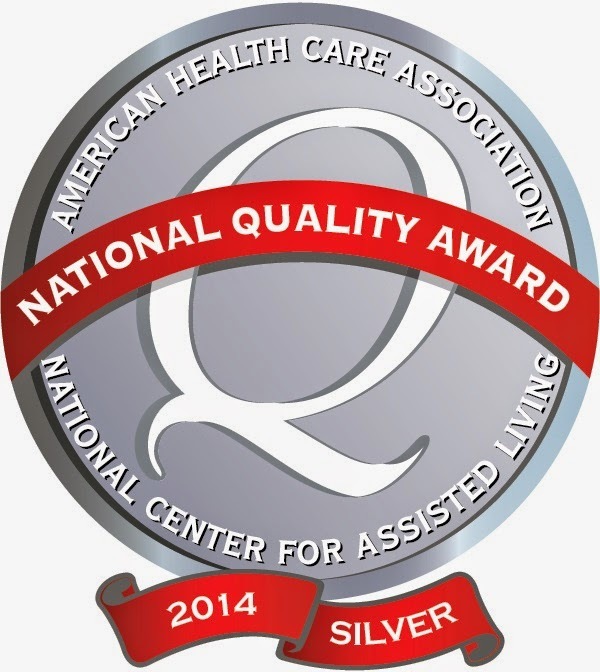 AHCA/NCAL is excited to announce that four centers were recently named recipients of 2014 AHCA/NCAL National Quality Award program at the Silver- Achievement in Quality Award level. As recipients of the Silver award, these facilities have demonstrated systematic advancements in quality, plans for continual improvement, and sustainable organizational goals. AHCA/NCAL is proud to support and recognize facilities that are striving to provide the best care possible to their residents. The Centers for Disease Control & Prevention (CDC) released a Health Update on January 9, 2015 to remind clinicians that influenza should be high on their list of possible diagnoses for ill patients. Influenza activity is elevated nationwide and the CDC advises clinicians that all high-risk patients with suspected influenza should be treated as soon as possible with one of three available influenza antiviral medications. This should be done without waiting for confirmatory influenza testing. While antiviral drugs work best when given early, therapeutic benefit has been observed even when treatment is initiated later. Hospitalization rates are especially high among people 65 years and older. The use of influenza antiviral drugs as an adjunct to vaccination is more important this year than usual in protecting people from influenza. Antivirals are available and recommended, but evidence from the current and previous influenza seasons suggests that they are severely underutilized. Here is the latest CDC Health Update. 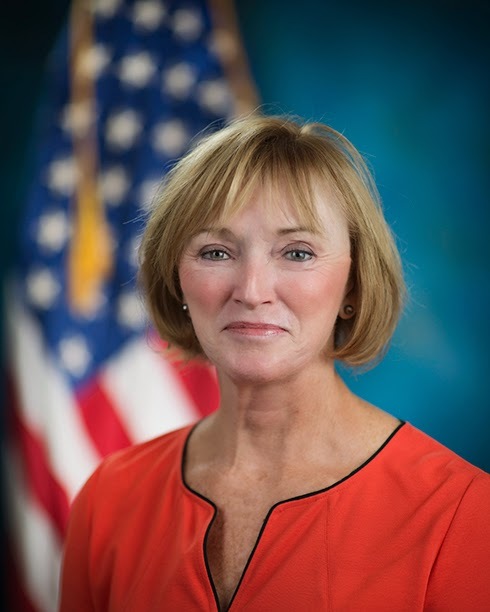 The US Department of Health and Human Services, Office of Inspector General (OIG) has released its 2014 Semiannual Report to Congress, which reviews the agency’s activities and accomplishments, and indicates that OIG expects $4.9 billion in recoveries returned to the federal government from oversight and investigations conducted throughout FY 2014. The $4.9 billion in expected recoveries consist of $834.7 million in program audits and about $4.1 billion in investigative work, which includes about $1.1 billion in areas such as States' shares of Medicaid restitution. The report indicates $15.7 billion in estimated savings resulting from legislative, regulatory or administrative actions. The report also indicates that OIG excluded 4,017 individuals and entities from participation in Federal health care programs in FY 2014. OIG also reported 971 criminal actions against individuals or entities that engaged in crimes against some of the 100 HHS programs overseen by OIG. There were 533 civil and administrative cases, including false claims and unjust-enrichment lawsuits filed in Federal district court and civil monetary penalties administrative matters, which included both OIG-initiated actions and provider self-disclosures. To obtain a copy of the full report go to https://oig.hhs.gov/reports-and-publications/archives/semiannual/2014/sar-fall2014.pdf. To obtain a copy of the press release go to https://oig.hhs.gov/newsroom/news-releases/2014/sar14fall.asp. emergency. It also includes a Media Outreach plan, an essential part of the Communications plan. Download the Communications Plan. here. During the last weeks of December, the Centers for Medicare and Medicaid Services (CMS) provided two significant updates to the ongoing Recovery Audit Contractor (RAC) procurement saga. First, On December 24, CMS announced that it was extending the existing contracts for the Part A/B MACs for Region A (Performant Recovery), Region B (CGI Federal Inc.), Region C (Connolly, Inc.), and Region D (HealthDataInsights) through December 31, 2015 for active auditing; and through April 30, 2017 for administrative/reconciliation activities as appeals are processed. This will allow CMS to fulfill its congressional mandate to correct improper payments in an effort to protect the Medicare Trust Funds while the procurement process for new RAC contracts is held up due to a protest at the Court of Federal Claims. In a similar August 2014 notice which extended the existing RAC contracts through December 2014, CMS had announced that “Most reviews will be done on an automated basis, but a limited number will be complex reviews of topics selected by CMS.” CMS has not yet provided clarification whether the RAC scope has changed for this new 2015 contract extension. This is relevant to SNF services on potential increases in Part A PPS claim reviews, and how CMS intends to resume the Part B therapy manual medical review (MMR) program which has been ‘paused’ since March 2014. AHCA continues to monitor and communicate with CMS regarding these issues. Second, on December 30, 2014 CMS announced that they had awarded the Region 5 Recovery Audit contract to Connolly, LLC. The purpose of this contract will be to support CMS in completing this mission through the identification and correction of improper payments for durable medical equipment, prosthetics, orthotics and supplies (DMEPOS), and home health/hospice (HH/H) claims. The Recovery Auditor will review all applicable claims types through the appropriate review methods and work with CMS and the DME and HH/H MACs to adjust claims to recoup overpayments and pay underpayments. This award marks the beginning of the new Recovery Audit contracts and is the start date of the implementation of many improvements to reduce provider burden and increase transparency in the program. A detailed list of these improvements can be found at Recovery Audit Program Improvements. It is important to note that these RAC program improvements only apply to the new Region 5 RAC, and not the Regions A-D RAC contract extensions described above. CMS has established a Provider Relations Coordinator, Latesha Walker, to improve communication between providers and CMS. Ms. Walker will be working closely with the Division of Recovery Audit Operations and the provider community to address questions and concerns regarding these recent RAC program contact award activities. Additionally, providers should feel free to contact Ms. Walker when issues arise that cannot be solved by discussions with the Recovery Auditor. Ms. Walker may be reached at (410) 786-1101 or Latesha.walker@cms.hhs.gov. Share Your Story: What Does Long Term Care Mean to You? On Thursday, January 15th at 3PM EST we will be hosting a Twitter & Facebook conversation and we want you to join us! 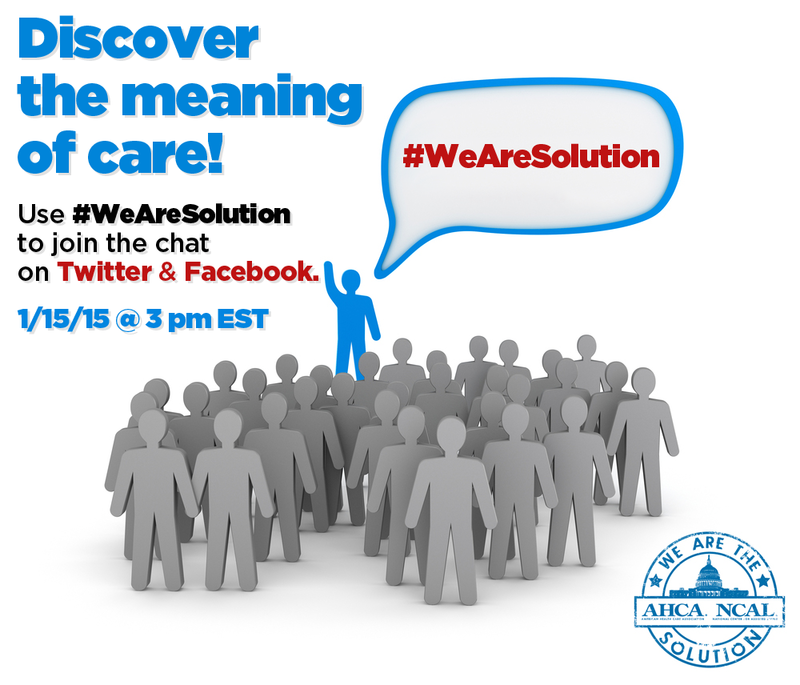 Use #WeAreSolution or visit us at www.facebook.com/careadvocacy or www.twitter.com/careadvocacy to share your story with your peers and your profession. We’ll be asking a series of questions and want to hear your perspective to best represent all of those within the long term care profession. Invite colleagues, invite friends! Not sure how this all works on social media? Let us know and we'll walk you through any questions you may have. On Thursday, January 15, from 2:00 - 3:30pm EST, you will have the opportunity to get your questions answered relating to the $10.10 wage issue and VA contracts with officials from the U.S. Department of Labor (DOL) and U.S. Department of Veterans Affairs (VA). As you know from previous correspondences from AHCA, on February 12, 2014, President Obama signed Executive Order 13658, Establishing a Minimum Wage for Contractors . The Executive Order raises the hourly minimum wage paid by contractors to workers performing on covered Federal contracts to: (i) $10.10 per hour, beginning January 1, 2015; and (ii) beginning January 1, 2016, and annually thereafter, an amount determined by the Secretary of DOL in accordance with the Order. On October 1, 2014, DOL published the final rule implementing the provisions of Executive Order 13658. It is long-standing policy that Medicare (Parts A and B) or Medicaid providers are not considered to be federal contractors. However, if a provider currently has VA patients, they are considered to be a federal contractor. On Friday, Dec. 19, and as noted in an email AHCA sent out to its members, DOL shared the below information relating to VA contracts and the $10.10 wage increase. The full DOL Q and A on the President's Executive Order can be found here . Please be sure to register for this free webinar event for AHCA members if you plan to attend. If you have any questions whatsoever relating to this, feel free to contact AHCA's Senior Director of Not for Profit & Constituent Services, Dana Halvorson. On November 13, 2014, the CY 2015 Medicare Physician Fee Schedule (MPFS) final rule was published in the Federal Register but contained technical errors. Last week, the Centers for Medicare and Medicaid Services (CMS) announced that, in order to implement corrections to technical errors discovered after publication of the MPFS rule and process claims correctly, Medicare Administrative Contractors (MACs) will hold claims containing 2015 services paid under the MPFS for the first 14 calendar days of January 2015 (i.e., Thursday January 1 through Wednesday January 14). The hold should have minimal impact on provider cash flow as, under current law, clean electronic claims are not paid sooner than 14 calendar days (29 days for paper claims) after the date of receipt. See related article (here) to access the updated AHCA therapy fee schedule file. The publication includes a glossary intended to help you understand new terms related to the ACA. It also addresses the new lines for reporting ACA information on Forms 1040, 1040-A and 1040-EZ. More information on federal taxes can be found at IRS.gov. The members of the new 114th Congress were sworn-in this Tuesday, officially giving Republicans control of the Senate, a historic majority in the House, and their first control of both chambers in eight years. Though Congress primarily acted on ceremonial business, the first day of the session was not without its drama. John Boehner (R, OH) fended off speakership challenges from two within his own caucus, Louie Gohmert from Texas and Ted Yoho from Florida. Though Boehner retained enough Republican support to retain his post at the chamber’s top post, 25 members of the GOP voted against him. The defections were double what Boehner faced two years ago when he was last elected Speaker and represent the largest number of votes against one’s own party in two decades. The Senate’s opening day had less in-party fighting, but was not without its own drama. As one of their first moves after officially losing control of the Senate, Democrats started an effort to block a hearing on the Keystone Pipeline that is slated to occur Wednesday. The action comes on the heels of an announcement by President Obama that he would veto any legislation furthering construction of the pipeline. Last week the Centers for Medicare and Medicaid Services (CMS) announced that they would hold CY 2015 Part B claims for 14 business days to correct technical errors identified in the November 13, 2014 fee schedule rule. See related article (here). CMS also furnished an updated fee schedule file. Thanks to the efforts of Tony Marshall, the Senior Director of Reimbursement for the Florida Health Care Association, AHCA is able to post the updated 2015 Medicare Part B Fee Schedule that applies to Part B therapy services for the period from January 1 through March 31, 2015 here. Next Friday, January 23rd is the deadline to register for the 7th Annual AHCA/NCAL Quality Symposium: It’s Time to Roar! Held next month in Austin, Texas from the 23-25, this event promises to delivery highly-focused, and interactive education sessions, plenty of great speakers, and many networking opportunities with like-minded long term and post-acute care quality professionals from across the country. Don’t wait to register because the deadline is fast approaching. Secure your spot and reserve your hotel today. Teepa Snow, Occupational Therapist and national authority and educator on effective ways of caring for persons with dementia, will offer a session on reframing what we often refer to as “challenging behaviors.” Snow has changed the lives of people with dementia and those providing care for them through her “Positive Approach” methods. As one caregiver attests, “…Teepa's training was like someone turning on the light when I had been in darkness for years. I thought my prior experience with the disease had taught me 'what I needed to know'.....sadly I was very wrong.” Hear from Snow about her work and her perspective on care for the person with dementia in our LED Talks session on Monday, February 23rd. In addition, come and experience one of her creative and innovative, hands-on training sessions in the Positive Approach on Tuesday, February 24th at 9:45 am. For more information about this speaker click here. A comprehensive listing of sessions, intensives, speakers, sponsors, registration, and travel information can be found on the official Quality Symposium website. There is only three weeks left to register at the advance discount rate. On-site registration is available.